﻿ Christian Humor--about church, meetings and church activities. 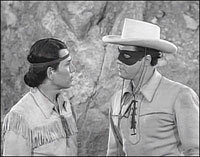 Some hours later, Tonto wakes the Lone Ranger and says, "Kemo Sabe, look towards sky, what you see?" "The Lone Ranger replies, "I see millions of stars." Astrologically speaking, it tells me that Saturn is in Leo. Time wise, it appears to be approximately a quarter past three in the morning. Theologically speaking, the Lord is all-powerful and we are small and insignificant. Meteorologically speaking, it seems we will have a beautiful day tomorrow. What does it tell you, Tonto?" "You dumber than a buffalo . It means someone stole the tent."